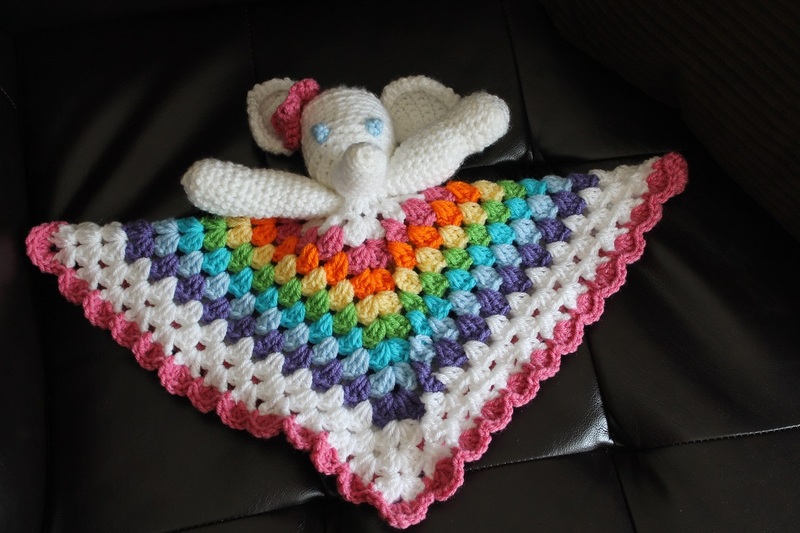 I saw a picture on Ravelry of a really cute elephant security blanket. I thought I could recreate it without the pattern. I sort of did, although my version leaves a lot to be desired, and the scale of the elephant to the blanket is definitely not the same as the inspiration picture. To properly make amigurumi I need to have tighter tension so it's a more solid fabric. I also need to be more consistent in where I place my stitches. I tend to drift from placing in the stitch, only in the back post, only in the front post, between stitches, etc. With this one at least I used white stuffing and white yarn so you can't tell as much how bad my stitches are. 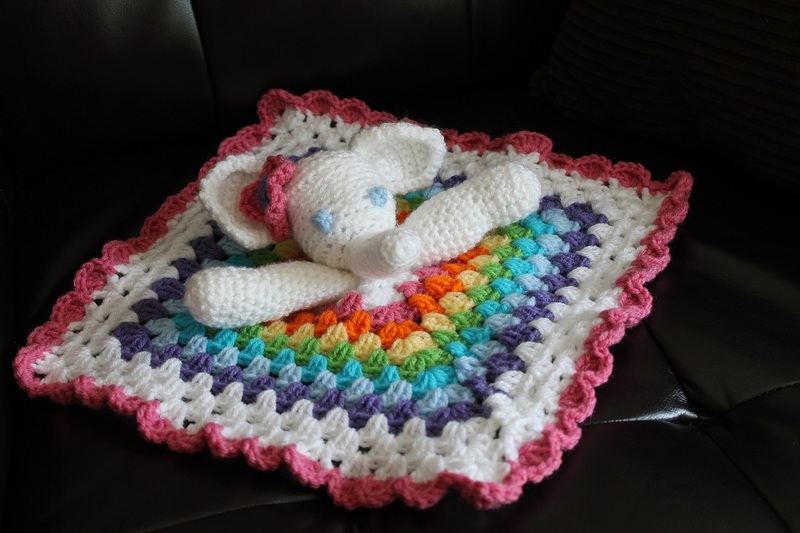 I also should have made the elephant slightly smaller to make the granny square blanket seem bigger. Making the flower for the elephant's ear was fun though and it looks pretty cute.